When you’re roaming the convention floor at The International Surface Event (TISE) in Las Vegas, you won’t want to miss out on the TORLYS booth. Not only are we celebrating our 30th anniversary, but TORLYS will be showcasing some of the newest innovations in flooring. Our booth (5833) is all about TORLYS Leading Change in the flooring industry. As we celebrate the last 30 years of innovation, we look forward to the next 30 years where TORLYS commits to bringing forward new products and technologies in the world of flooring. We will be celebrating all four of our brands this year: Smart Floors, SuperSolid, Marquee, and debuting UltraFloors. 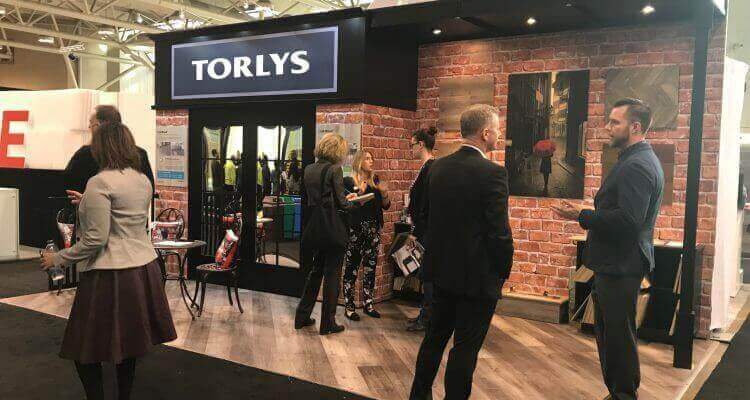 When you visit the TORLYS booth at Surfaces 2018, you can experience the innovation we bring to the flooring industry first-hand – from live demos to multi-media visuals. Now, it’s time to dive into the products we will be unveiling at Surfaces Las Vegas this month! This year, TORLYS will be showcasing our new RigidWood Vinyl collection. This is a rigid luxury vinyl with the flexibility you want in a floor, but the rigidity you need. Featuring 15 stunning visuals with rich textures and painted bevels, this new collection is sure to impress. Not only is this collection beautiful, the new RigidWood Vinyl offers remarkable dimensional stability with no peaking, gapping or cupping, while withstanding temperature swings from -40°C to 60°C (-40°F-140°F). PLUS, it can be installed without transitions in spaces up to 6400 SF! Superior durability is built into RigidWood, with TORLYS Maxx Finish for long lasting performance. TORLYS smart floors is also launching the perfect combination between on trend style and technology with the TORLYS Twist. This classic herringbone pattern floor offers traditional beauty with a Twist! Thanks to the Unifit X end joints, it provides a significantly faster installation than traditional glue down herringbone. The exclusive online calculator saves both time and money by reducing waste. You can see this for your self at the TORLYS Innovation Stage with live installation demonstrations. Our ever successful EverWood & EverTile programs have also been updated with refreshing new colour selections. EverWood Designer has even been nominated for the Floor Covering Weekly Dealer’s Choice Awards! Be sure to visit booth 813 to vote for EverWood Designer. CorkWood, which was launched at Surfaces 2017 with an outstanding response has also been nominated for the FCW Dealer’s Choice awards. With the beauty of wood, the durability of laminate and the wonderful comfort of cork, it’s a definite winner! With many other advancements and excitement, including new one-of-a-kind accessories and a first hand demonstration of the exclusive TORLYS Bulldog Tool – the TORLYS smart floors booth will not be one you want to miss. In 2017, we updated two of our SuperSolid engineered hardwood collections (5” and 7”) and introduced a new 6” collection. 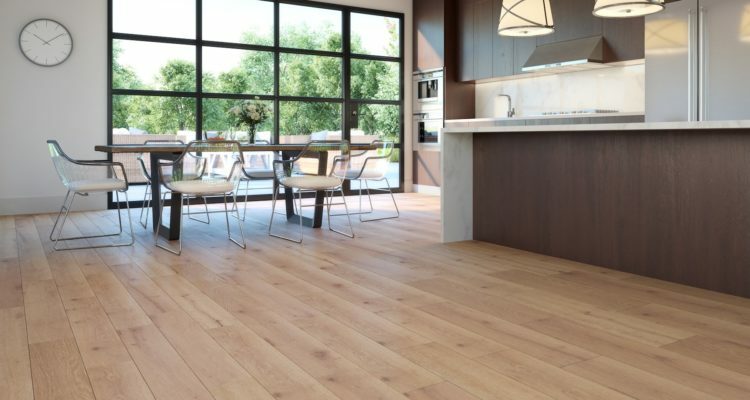 These floors are available in a wide range of on-trend colours in white oak and birch. Our SuperSolid floors are a builder favourite, and are guaranteed to be re-sandable up to 4 times. With Marquee Floors by TORLYS, we are the epitome of a full-service flooring solutions company! 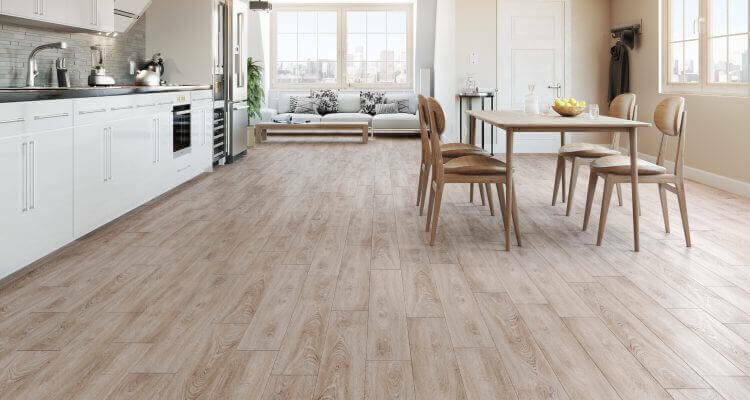 The Marquee product offering is expanding beyond laminates to include new product categories such as vinyl, carpet tile and hardwood to complement the existing laminate program. Now with a complete range of quality products at an unbelievable value, Marquee Floors is ready all of your commercial needs, no matter the setting. This includes Property Management, Hotels, Office Space, Healthcare, Retail, Developers & more! At Surfaces 2018, TORLYS will be debuting the next revolution in flooring. Our newest brand, UltraFloors will blend spectacular visuals and combined features never before possible in flooring. The inside story is TORLYS MagnaCore™ technology – for ultra-quality and ultra-performance. The quiet comfort of cork. UltraFloors is truly the ultimate in flooring with the most sought after benefits – ShiftProof, WaterProof, FireProof, MoldProof and DentProof, backed by revolutionary warranties! We look forward to sharing this new collection with you in 2018! Mold growth under floors after water damage is a thing of the past with CorkPlus™ BLUE from TORLYS. We are Breaking the Mold by being the only flooring company to offer Microban® product protection. It’s blue, it’s built-in and it inhibits the growth of mold! TORLYS True Blue Protection offers more hygienic floors, with added protection from expensive lawsuits, property damage, and mold remediation! Property managers, builders and all flooring dealers – you won’t want to skip out on the amazing opportunity to learn more about TORLYS True Blue protection. We look forward to meeting you at the Mandalay Bay Convention Center! You can find TORLYS at booth 5833. In 2018, TORLYS is celebrating our 30th anniversary. We have been making innovations in the flooring industry since 1988, and look forward to the years ahead. TORLYS is based in Mississauga, Ontario, with a facility in Calgary, Alberta. Our floors are available through a network of specialized dealers. You can follow updates from TORLYS on Facebook, Twitter, Instagram, and LinkedIn.